Significant groundwater and soil contamination, including free-phase hydrocarbons, from diesel fuel, invert, and gel-chem drilling muds were present to depths of up to 13 m below ground on a natural gas drilling lease located in northwestern Alberta. 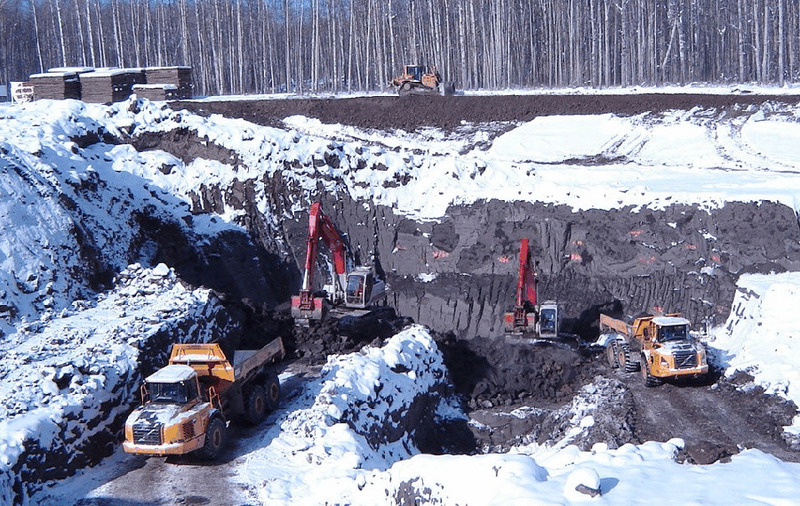 Over a period of 11 months, from August 2005 to July 2006, a total of 279,310 tonnes (117,709 m3) of impacted soil was excavated from the lease and hauled to CCS La Glace Landfill for disposal. The extent of contamination was determined through a combination of field screening and confirmatory laboratory analysis. The project was completed with over 19 working years of man-hours, the collection of over 2,000 soil samples, and over 1 million kilometers of truck hauling. The was accomplished without a single lost time incident. ParklandGEO was responsible for all aspects of the project, including remediation design, tendering, project management, budgeting, on-site consulting and reporting. Intensive landowner consultations were required as this area is know to have a history of poor relationships with the oil & gas industry.